What can a non-viable particle counter do that viable air sampling cannot? In most hospital pharmacy cleanrooms, standard operating procedure includes sampling of air quality for viable particles (i.e. particles that include or are composed of microorganisms). These tasks are traditionally executed with an air sampler containing agar strips or simply by placing agar contact plates on surfaces throughout the facility. These samples are then left to incubate and are then analyzed to determine the environment’s air quality. How does non-viable particle counting compare? As you can see, this entire process is time consuming, taking days or weeks to deliver a result. If there is a rise in the number of pathogens within the environment, pharmacy staff won’t know until a considerable amount of time has passed and it becomes too late for corrective action. 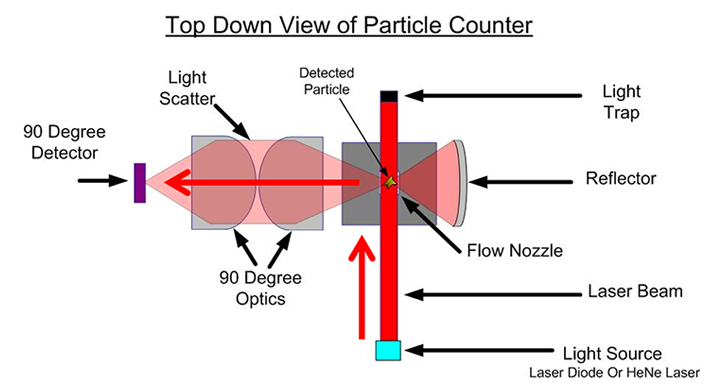 Alternatively, continuous non-viable particle counting occurs in real time using a system of lasers, reflectors, and photoreceptors to detect, measure, and count airborne particles instantly. The perceived drawback of non-viable particle counters is their inability to differentiate between non-viable particles (e.g. dust, smoke, etc.) and viable particles (e.g. bacteria, viruses, pollen, etc.). While conventional wisdom states that non-viable particles act as vehicles for viable particles, particle counting using agar contact plates are still required by the United States Pharmacopeia for ISO Class 7 spaces. However, in a 2012 study published by the National Institute of Health (NIH) real-time non-viable particle counts were found to strongly correlate with results from airborne colony tests. This study showed that non-viable particle counters had a 95.6% chance of detecting a true contaminant with the probability of a false positive (i.e. detecting a contaminant when there was none) occurring only 1.3 times a year. What can particle counters do that agar plates cannot? The 2012 NIH study also cited an example where a particle counter was able to immediately detect a dramatic spike in particles due to an emergency HVAC test conducted by building maintenance. This instant threshold alarm allowed pharmacy personnel to take immediate corrective action before patient safety could be affected. Compounded sterile processing pharmacies are not the only spaces within a hospital at risk for airborne particle contamination. 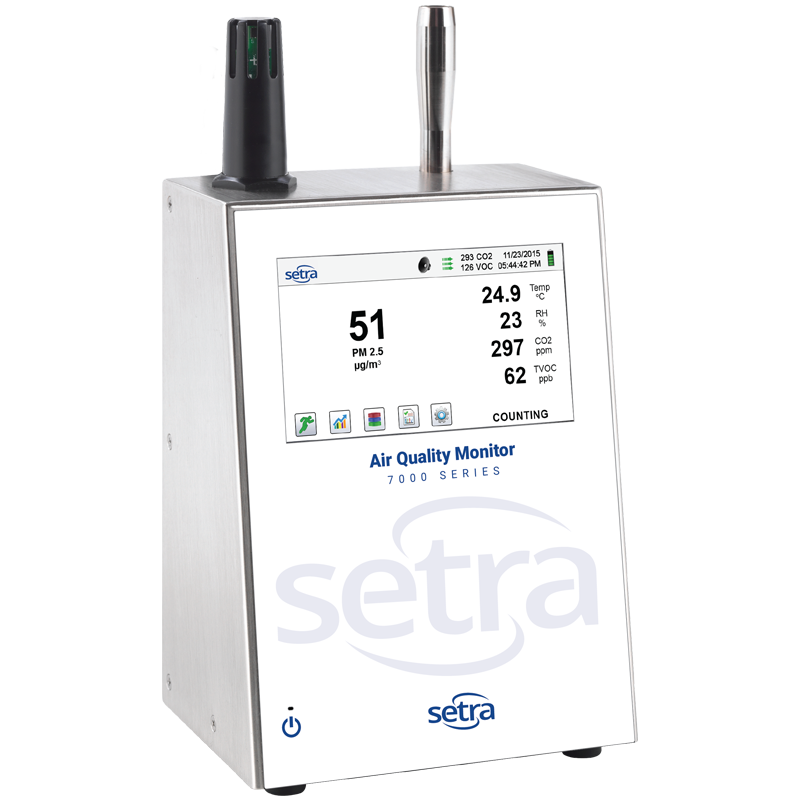 Operating rooms are already required to monitor differential pressure, temperature and humidity per ASHRAE Standard 170, but are not yet required to monitor airborne particles. In short, particle counters within procedure rooms or airborne infection isolation rooms could represent an effective solution to help combat hospital acquired infections. When used in conjunction with environmental monitors, the risk to patient health can be dramatically reduced. 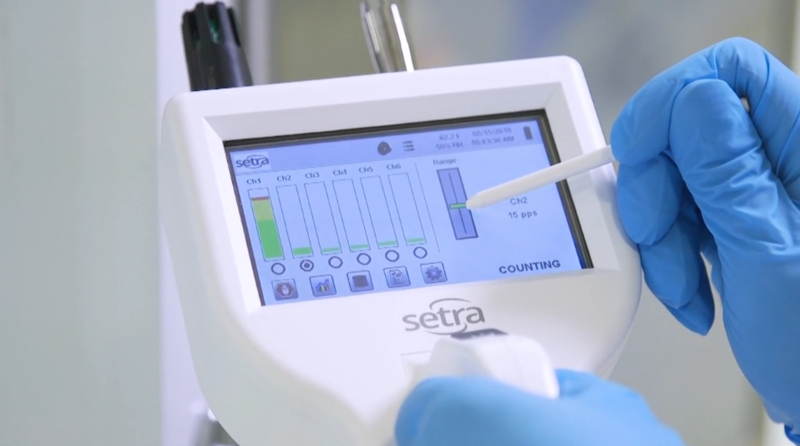 While continuous non-viable particle monitoring isn’t yet required in compounding pharmacies or operating rooms, progressively-minded hospital pharmacy managers and facility managers are being proactive. The effectiveness of non-viable particle counting has been shown to be extremely similar to the incumbent viable counting methods. Continuous particle monitoring allows these professionals to take control of their environment by implementing an effective early warning system for possible contamination. Is continuous particle counting right for your facility? When it comes to your facility's environment, it's important to be in the know and be in control.